This January, I tried something that I haven’t done since I was pregnant with my last baby. A month of sobriety. It’s known as Drynuary, but let’s just call this my Month of Drinking Club Soda. Drynuary is the practice of pledging to abstain from alcohol for the entire month of January. 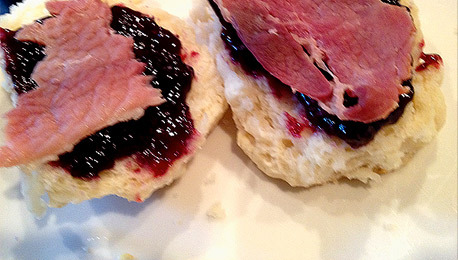 It is a trend started in Great Britain, but is growing in popularity here in the states. Most people use it as a sort of secular Lent ritual, fasting from booze for a month to re-set the body and mind and to give your poor liver a rest after the non-stop partying of November and December. And although most people won’t admit it, it’s also a way to gut-check your dependence on alcohol. I decided to try Drynuary after reading an article in Slate just after New Year. The writer told of his own journey over the last eight years, using the annual January abstinence to clear his mind and body. Something about it struck me at the time. After three months of socializing and parties, it sounded like a challenge that I should take. It was a few days after celebrating New Year’s Eve and I was figuratively feeling the hangover of too much food and drink during the holidays. Drinking was feeling more like a habit and less like a pleasure. I was ready for a break. I wasn’t even sure I was going to make it through to the end of the month, to be honest. So, how was not drinking for a month? Actually, not bad at all. I replaced the nightly glass of wine with club soda and lime. I also drank more herbal tea before bedtime. I drank lots of variations of sparkly water on the weekends. 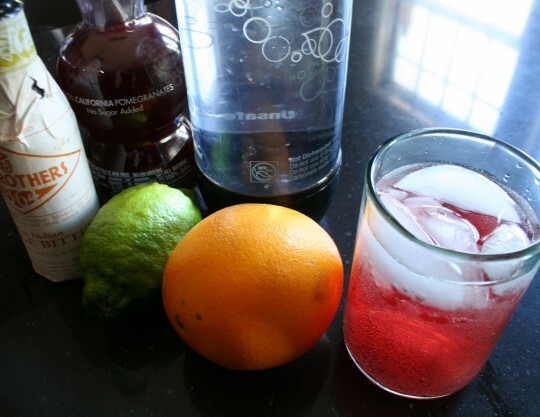 Club soda with blood orange. Club soda with lime and orange bitters. 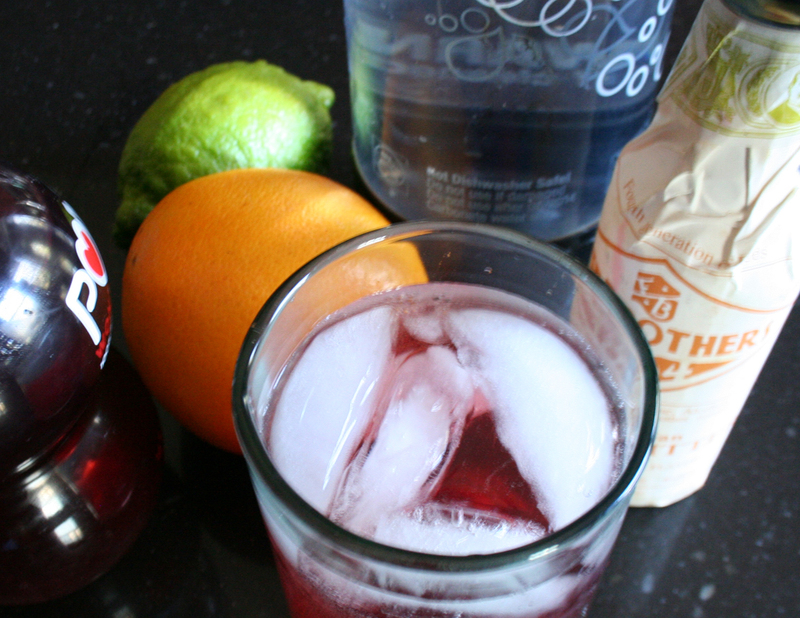 Club soda with pomegranate juice. Club soda with club soda. I stayed very hydrated this month. Going booze-free for a month was painless on most weekdays. It was easy to give up my nightly glass (or two) of wine or beer with dinner. It got a bit harder on the weekend nights though, when I was socializing with my friends. When you’re around other people who are drinking and having a good time, you can feel the tug of longing for a cocktail or a couple of glasses of wine. Everyone, of course, was very supportive of my sobriety. I don’t think my presence slowed anyone else down, and I got offers of cups of tea and club soda to keep me happy. After the first couple of weekends, I honestly didn’t miss my cocktails all that much. And what positives came out of a month of not drinking? Thrillingly, I lost weight. I guess those glasses of empty calories really do add up. I also just felt lighter and more clear-headed. Our restaurant bills were a lot smaller this month, especially since Tim tried to hold down his drinking this month in solidarity with me. I also have left behind that feeling of antsiness when cocktail hour rolled around each night. Booze. Eh…I can take it or leave it. But that’s not to say that I’ve stopped drinking for good. This year, February 1st falls on a Sunday… Super Bowl Sunday. So, I plan on breaking my booze fast by having a few beers to celebrate. It should be interesting to see how my body reacts to alcohol after a month away from drinking. Going forward, I’ll continue to have my Friday Cocktails, my social hours with my friends and the occasional celebratory glasses of wine. Just…not so much (or at all) during the middle of the week. So, here’s to more mindful and moderate drinking for the rest of the year. Cheers! Pour all ingredients over ice. Mix and enjoy!